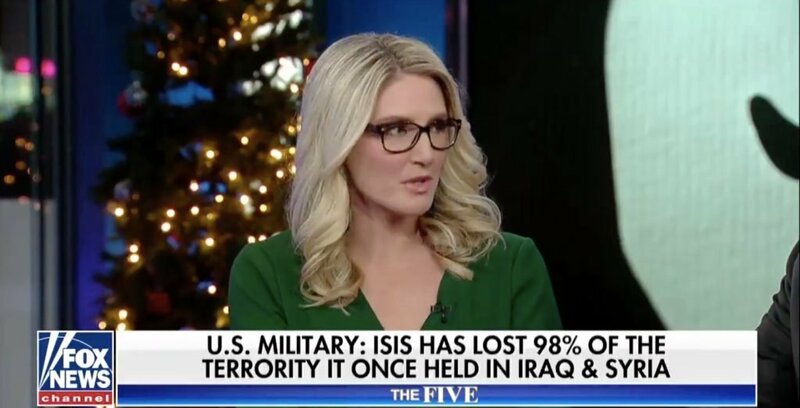 According to former President Obama’s State Department Spokesperson Marie Harf, who now works for Fox News, the previous leader’s plans are the reason that we are seeing success against the Islamic State in the Middle East. She joined the panel of “The Five” and explained how Obama’s strategies were laid out before Trump got into office and we all have the former President to thank for it. You might want to ingest this information with a fistful of salt, considering the source and the fact that Obama spent the first 5 years of his Presidency blaming everything on Bush. “The strategy that has led to a virtual defeat of ISIS in the Caliphate, in Syria, in Iraq, is largely a strategy that was laid out during the Obama administration by military commanders,” she said on Wednesday night’s airing. I think many would credit Secretary of Defense James Mattis with setting up a strategy that is significantly more effective in driving their influence out of key cities. With loosening the rules of engagement, it is easier for our troops to engage the enemy and fight them where they are. Like Harf said, that has probably helped a lot more than tying their hands and making our men and women overseas glorified babysitters of the terrorists. Brig. Gen. Andrew Croft, the ranking U.S. Air Force officer in Iraq, had some kind words to say about the people in charge as well. This is the kind of military that is going to lead us to victory in the Middle East and will protect us if countries like North Korea decide to get a little too big for their britches. This is the first time in 8 years I’ve actually had faith in their ability to get things done without our federal government undermining the work that they’re going to do.